Egypt is a very popular tourist destination known for the pyramids, mummies and numerous historical sites, but it is still mysterious to many travelers. 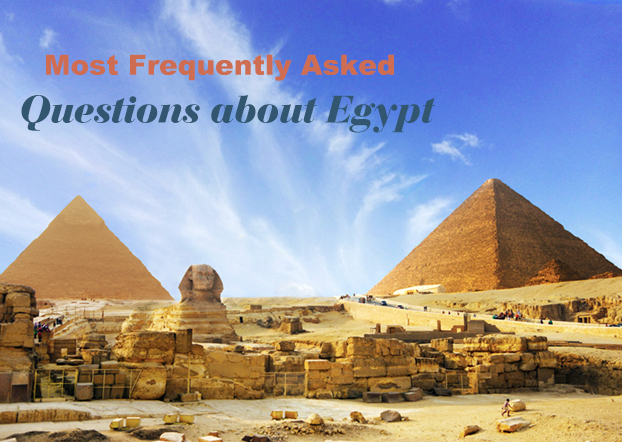 Here I summarize several most frequently asked questions about Egypt to help make your travel as enjoyable as possible. Q: Do I need a visa to visit Egypt? A: All visitors to Egypt are required to have both a passport and a visa unless you come from one of the visa exempt countries or territories, which include Bahrain, Hong Kong, Kuwait, Lebanon, Macao, Malaysia, Oman, Saudi Arabia, United Arab Emirates (as of May 2018). Citizens from some countries in the North Africa and the Middle East can also visit Egypt visa-free under certain conditions. Q: Can I obtain a visa upon arrival at Egypt? 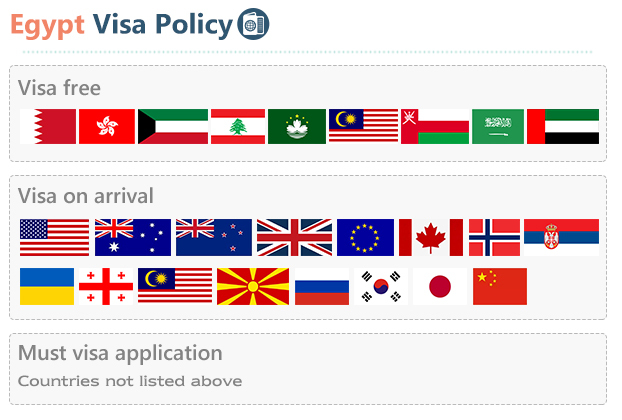 A: Egypt visa on arrival policy applies to the following countries: the United States, Australia, New Zealand, the United Kingdom, Canada, all European Union countries, Norway, Russia, Ukraine, Georgia, Serbia, Malaysia, Macedonia, Japan, South Korea, China (as of May 2018). If you are a citizen of one of these countries, you can obtain a visa with your passport information, personal information and details about your travel plans upon arrival at an Egyptian port of entry. The visa on arrival is usually valid for 30 days. Q: How can I get an Egyptian tourist visa in advance? A: If your country is not listed above, you need to apply for the visa at an Egyptian embassy or consulate in your country either in person or by post. Your passport must have at least six months of validity and one blank page. Other documents required for visa application vary depending on the applicant’s nationality. Please consult an Egyptian consulate in your country for more details. Q: What's the best currency to take to Egypt? A: US dollar, pound sterling, and euro are accepted mainly in tourist areas and major cities. So generally you are expected to pay in Egyptian pounds, especially for trinkets or tipping, or in remote areas. The Egyptian pound is the official currency in Egypt and is commonly abbreviated as EGP, LE or E£. It is divided into 100 piastres or 1,000 millimes. 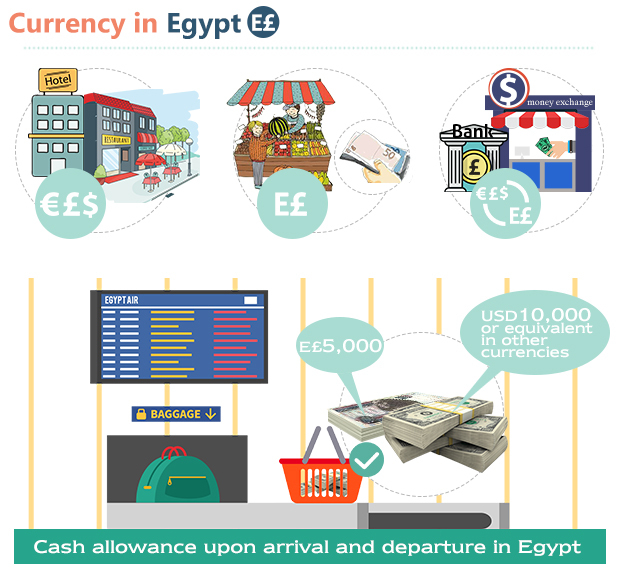 The cash allowed to be carried in or out of Egypt is limited to EGP 5,000 and USD 10,000 or its equivalent in other currencies. Any cash beyond the amount must be declared. All these three currencies can be exchanged easily into EGP at the official exchange rate at any Egyptian bank, bank desk in airports, foreign exchange counter in most upper hotels, and even at the same place where you buy your entry visa upon arrival in Egypt. Some credit cards or cash cards also can be used to withdraw Egyptian pound at any ATM in Egypt. Please check with your local banks before departure. Q: What's the weather like in Egypt? A: Generally, Egypt has a desert climate, but the Mediterranean coastal areas enjoy a moderate temperature thanks to the prevailing wind. The climate features a hot season from May to October and a cool season from October to May. 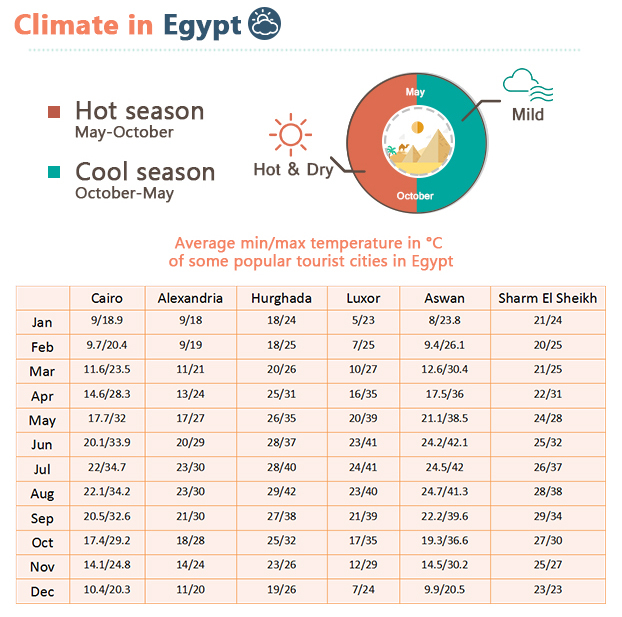 In the hot season, it is dry and hot in most parts of the country, and humid in the Nile Delta and Mediterranean coastal areas. So sun protection is the most important consideration for this season, especially for the fair-skinned. Pure cotton clothes and sunhats are essential. In the cool season, the weather is mild with some rain; it is bright and sunny in most days but usually cold in nights. The most humid area lies along the Mediterranean coast. The precipitation declines sharply from north to south. It may rain once in a few years in many desert areas. 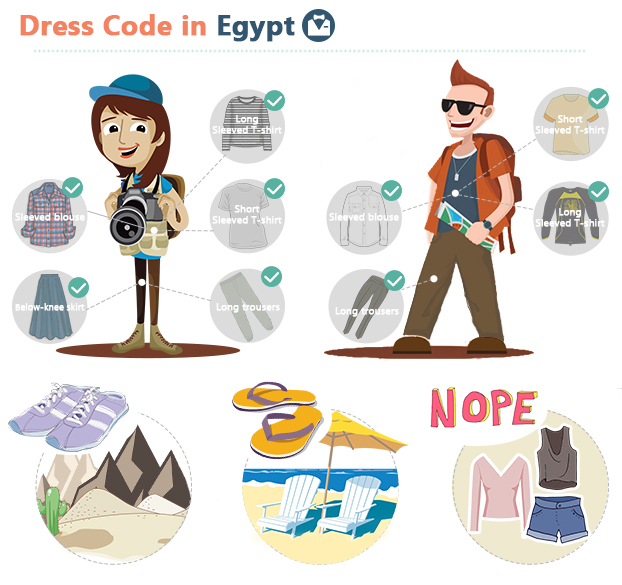 Q: What to wear when I travel Egypt? A: With Islam being its established religion and roughly 90% of the population being Muslims, Egypt is a predominantly Muslim country. The dress code is naturally conservative, especially for women. Some women wear a hijab (a headscarf covering the head and neck but not the face), some wear a niqab (a veil covering the face but leaving the eye area clear), and few don't cover their heads at all. Female tourists are not required by law to follow the dress code. But dressing conservatively and modestly is a way to show your respect to their religion and may deflect unwanted attention from Egyptian men. Clothes recommended are high-necked and sleeved blouse, loose trousers or below knee skirt perfectly made of cotton or linen. Tight or transparent clothes shall be avoided. For formal occasions, smart clothes with a shawl covering bare shoulders may be an excellent choice. While for men, normal long trousers, sleeved shirts and T-shirts are fine. Sleeveless tops and short shorts may not be acceptable in most areas, but they are ok in beach areas and resorts. Strong and comfortable closed-toe shoes are wise choices to keep your feet from sand, dust or mud. Sandals are not good options, except for beach areas. The temperature difference between day and night may be large in most areas, so packing a casual coat or shawl can be a smart idea. Q: How to enjoy Egypt during Ramadan as a tourist? A: Ramadan is the ninth month of Islamic Calendar with the beginning and end marked by the astronomical new moon, so it always falls on the same day of the Islamic Calendar (a lunar calendar), but the date on Gregorian Calendar (a solar calendar) varies from year to year. It is a month of fasting, prayer, and introspection, so Muslims abstain from eating, drinking, smoking and immoral behaviors from sunrise to sunset every day. They also appreciate that non-Muslim don't eat, drink or smoke in the public. During Ramadan, the general pace of life in Egypt slows down compared to that in normal days. Shops, museums, and historical attractions officially close earlier before sunset. Almost all Muslims try to get home or restaurant in time for the iftar (meal to break the fast) with family or friends. Some restaurants and cafés open only after sunset and may stop serving alcoholic beverages. While almost all tourist hotels will be completely operational, including their restaurants and bars serving meals and alcoholic drinks as usual, because many tourists love to explore this amazing country during this special month. Houses, mosques and some streets are specially illuminated with Fanous Ramadan (special Ramadan lanterns), creating a magical atmosphere. Some hotels may hold "parties" at night with very friendly atmosphere and everyone is welcome, even though you are non-Muslim. Thought a little inconvenient as it may be, visiting Egypt during Ramadan is truly a fantastic way to discover an important part of the Egyptian culture and enjoy the special atmosphere pervading throughout the country. The culture, the prayer and the sharing of food, everything here makes it a very rewarding experience. Q: Are there any special customs I should observe? 1. Most women in Egypt behave conservatively with strangers. 2. Normal contact is quite acceptable, but intimate actions in the public such as kissing and fondling may irritate most Muslims. 3. Most mosques require visitors to remove their shoes before entering. 4. Use the right hand to eat and give gifts. 5. It is inappropriate to discuss religions with Egyptians from an atheistic or similar perspective. 6. It is inapt to take photos of soldiers, tanks or any other military property. Q: Is it safe to travel to Egypt? 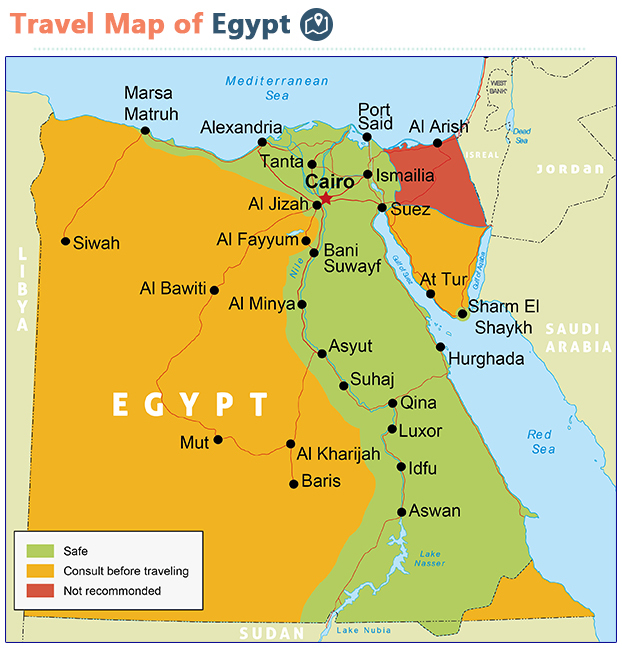 A: While its security situation is frequently exaggerated by many media, Egypt is generally a safe country to travel. Most areas are considered as relatively safe, except North Sinai Governorate being generally at a higher risk level. Checkpoints are erected across several regions to ensure the safety of tourists. As for muggings, robberies, and other casual crimes, Egypt is also quite safe. You can find it is safe to walk the streets at night when most Egyptians start social activities and cities come alive. Most restaurants and cafés are open late into the night. 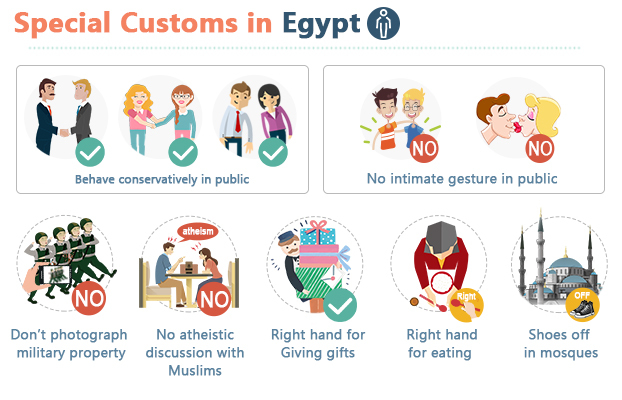 The majority of Egyptian people are courteous and friendly to tourists. Though traveling Egypt is quite safe, you cannot be too careful as for personal security. Planning your trip with a reputable tour operator can be a wise choice, as they know the updated security situations and thus customize your itinerary accordingly.  Overall, Egypt is a fantastic and exotic destination with too much to offer. Prepare for a culture shock and tailor-make a private tour, you will find it is unlike any other country you have visited. For more information, please contact us at .